Contact us today to set up a no-cost consultation and movement screening to asses your body and movement patterns. This really helps with setting up the right trainer and program for your success! To get ahead of the game, you can fill out our New Client Paperwork here and history page. 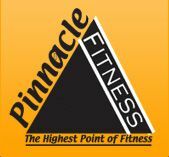 You can email it in to pinnaclefitness8@gmail.com or bring it in with you when you arrive for your screening.